Naniwa (浪速)is the old name for a region in Osaka. It was the site of a capital city from the 5th to the mid-seventh century, then followed by Nara. a place full of reeds in the old times. It is well-loved in Japanese poetry.
. WKD : Naniwa 難波 - Osaka　大阪　. Is this what you are asking me? 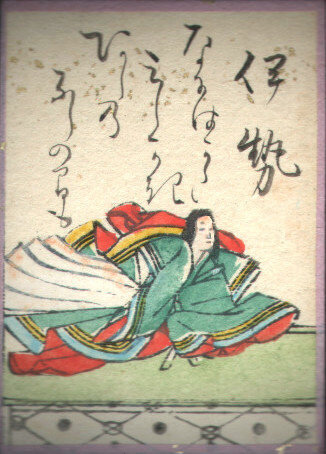 Lady Ise 伊勢 - Ogura Hyakunin Isshu Poems 小倉百人一首 .
. asu wa chimaki Naniwa no kareha yume nare ya . and become a dream . . . Written in 1677, 延宝5年, Basho age 34. Tomorrow is the fifth day of the fifth lunar month, the Boy's Festival or Seasonal Festival of the Fifth Month, Tango no Sekku 端午の節句. This hokku has the cut marker YA at the end of line 3.
. chimaki 茅巻 / 粽H Chimaki ritual rice cakes . .
. Basho and priest Saigyo 芭蕉と西行法師　. "When I left Nara it was time for the Chrysanthemums, but now as I reach Naniwa, it is time for the beginning of the autum moon." During the night of yoizukiyo, on the second or third day of the full moon cycle, the sickle moon is out only for a short while in the early evening. Thus it was well loved by poets since the Heian period. Basho had left Nara on the 9th day of the 9th lunar month (the Chrysanthemum Festival) (Now about October 23 / 24). He passed the Kuragoshi Pass and the Ikoma Mountain range and arrived in Naniwa/Osaka at the Ikutama shrine 生玉神社　on the 10th day and the roads where still full of the fragrance of chrysanthemums.
. - Basho visiting - Nara 奈良 ancient capital of Japan - .
. for Hamada Chinseki - Shadoo 浜田珍夕/珍碩（洒堂) Shado. .
Shado had decided to become a professional haikai master in the summer before and left his rural home in Zeze, Omi (where Basho sees him as a tanishi) in summer to make it in the lively town of Osaka. But now in winter, this tanishi could close its lid and enjoy some solitude. This might be an allusion to the waka of the collection Fubuku Wakashuu 夫木和歌抄 of the late Kamakura Period. Trust not in your horns to protect you somehow! *Around the 16th day in the New Year's Month or About the Feast in memory ofthe Dead, 'O Bon' in the lunar calendar, servants used to be presented with one or two holidays to return home. Naniwa(浪花 (なには)) (now Osaka) was a big city. It once contended with Edo (nowTokyo). The Poet wanted to imply that the steps of the girl apprentice, who had started from Naniwa, were very quick and brisk. Needless to say, it expresses she is keen to see her family. Out of a big city, along the river, she gets a sense of space, which leads to the sense of release, together with her truly precious holidays. We must remember that the Haiku plays a key role in the descriptive part to change scenes of the Poem as a drama. 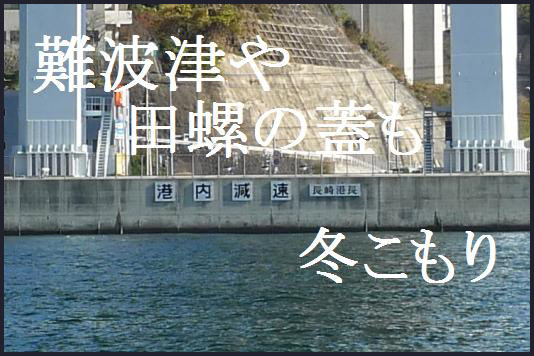 Read from the viewpoint, it tells us that 'yabuiri' plays a role of the time of the Drama and 'the River Nagara' that of the scene of the Drama. The heroine of the Drama is included in 'Yabuiri ya'. In this sense, I think, the Haik carries out its two purposes quite smoothly; one as a pure literary haiku poem and the other as a simple description of the play.
. yabuiri, yabu iri, yabu-iri 薮入 servant's holiday in Edo . 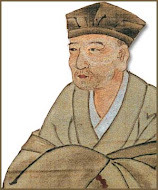 'Hōnen' was a very famous Buddhist priest who started Jōdō-shū Buddhism (Pure Land Buddhism) that became very popular. 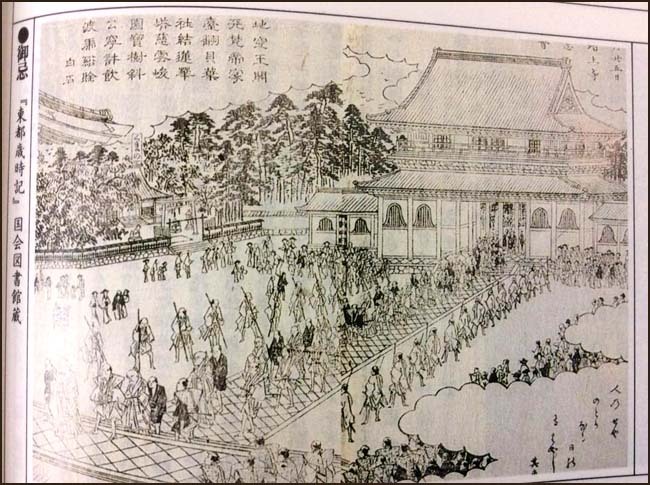 Ceremonies that marked the 49th day after Hōnen's death became a popular social outing that came with the end of the spring season. There was a big procession and people would come out to gather and watch it in their best spring fashion, and dressing up would catch people's attention much like we Americans use to do during Easter Parades. This event was considered the first sightseeing event of the year, and it was popular to bring your own food box (bento) and have a picnic during the time you went and honored Hōnen. This became 'bentō hajime' (first picnic box of the year). Wearing short sleeve kimonos for this was popular too and Buson is humorously playing off of this to say that this rush to be fashionable is making Kyoto feel colder than it really is. The suffix of '-garu' is attached to adjectives, here 'samui' (cold), to express that the speaker is feeling the particular quality of the adjective, and the "o' indicates that Kyoto is the object of it. This haiku counts as 19 and the picture is from a Saijiki I have, it's an old print of this event. Special memorial ceremonies to mark the death of Honen, the early medieval founder of the Pure Land school of Buddhism were held at the Chion'in Temple in Kyoto on his death day on lunar 1/25 (around March 1) and during the week leading up to it. Osaka (Buson uses the old name Naniwa) is an area where there are many believers in the Pure Land school, and groups of believers make the multi-day pilgrimage up the Yodo River to Kyoto to worship Honen and enjoy the spring sights in Kyoto. For women, it was also a chance to display their fashions. In my opinion the women here are mostly married and a bit wealthy, so their fashions would probably be striking and haute couture in some cases. The Tokugawa shoguns belonged to the Pure Land school, so Honen memorial ceremonies were rather gorgeous in Buson's time. The weather in Kyoto at this time of year, however, is colder than it is in Osaka, which is on the Inland Sea, and to the Osaka women in the hokku it feels rather chilly. To Kyoto visitors to the temperature seems normal, and to them the Osaka commoner women stand out because they no doubt wear brighter colors and less subtle designs than elegant, refined Kyoto women, and they speak in slightly louder voices and with less restraint than Kyoto women. The Osaka women also shiver a bit and pull their robes and cloaks tighter to stay warm. Buson may also be commenting on the difference between the warm, outgoing commoner commercial culture of Osaka and the cooler, more restrained and polite culture of Kyoto, the site of the imperial court and a place which put much emphasis on tradition. He may also be evoking two different parts or elements of himself and his writing and painting, since he was born near Osaka but spent much of his adult life in Kyoto.
. 法然上人 Saint Honen (1133 - 1212) .
. 春風馬堤曲 Shunpu Batei Kyoku - poem .
. WKD : Naniwa 難波 - Osaka　大阪　and food .
. Naniwa odori 浪花踊 Naniwa Dance .
. Naniwa ward 浪速区 - Folk Art .